To call Savannah, GA, a historic town is really an understatement of sorts. 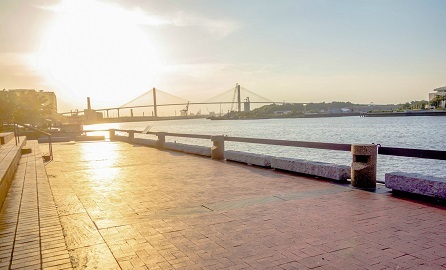 The city is completely based upon its history, which is evident in the fact that the Savannah Historic District has been deemed a National Historic Landmark by the National Park Service. With that, it seems obvious that there are plenty of fun summer trips that you could take by foot or by trolley to experience the history. But what if you could experience the town from a different angle? If walking around or riding in a trolley isn’t quite your pace, then you must experience one of the Savannah boat tours. 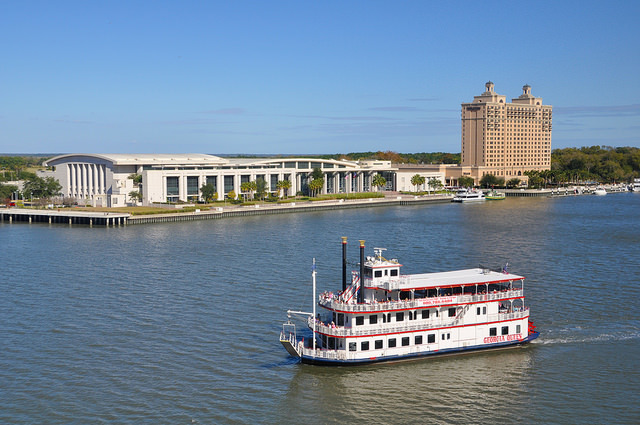 You’ll experience some adventure by sea when you take a tour and soar down the Savannah River. 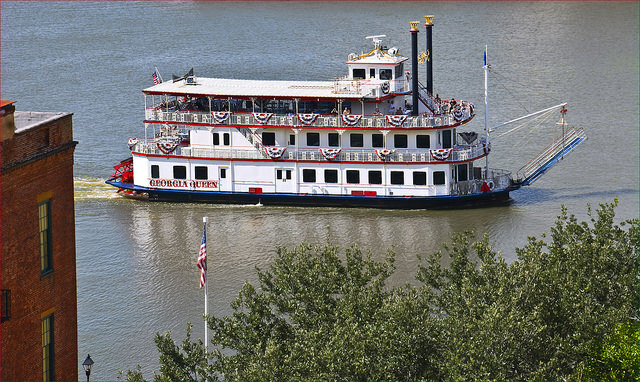 You can enjoy dinner, live entertainment, and an amazing tour when you reserve a spot with Savannah Riverboat Cruises. Some of the tours include a harbor sightseeing cruise, a Sunday brunch cruise, and a Thursday murder mystery cruise. The boats are located at 9 East River Street. The harbor sightseeing tour lasts an hour and is designed for both adults ($21.95) and children ($12.95). The captain of the ship will entertain you with exciting tales and historic facts about the city. The Sunday brunch cruise is one of the more popular cruises offered, as it lasts an hour and a half and features a delicious buffet. The food includes a turkey carving station, shrimp & grits, ham & broccoli quiche, and a dessert buffet. Boarding begins at 11:30 a.m. on Sundays and costs $43.95 for adults and $23.95 for children 4-12. The Thursday night murder mystery cruise is a unique opportunity that you have to solve the crime! Another cruise that lasts an hour and a half, you will get to see professional actors unveil the mystery right before your eyes. The price is $29.95 for adults and $19.95 for kids, and the cruise is only open from April through August. Be sure to make reservations in advance. This marks just a sampling of the cruising options, as you can also take part in the Friday & Saturday moonlight cruise or the Monday gospel dinner cruise. In addition, there are several seasonal cruises that will pop up throughout the year. Before embarking on your journey, it is necessary to check out your sailing vessel. 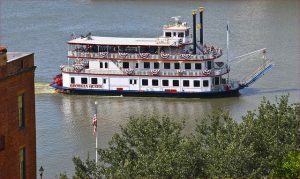 Savannah Riverboat Cruises has two immaculate boats: the Savannah River Queen and the Georgia Queen. Both boats have three decks and will get you everywhere you desire on your tour. 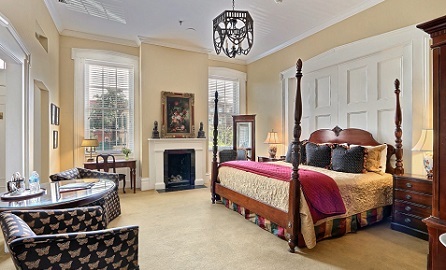 After perusing the waters and capturing the sights of the city on your Savannah boat tour, relax for the rest of the night with a stay at a luxurious Savannah boutique hotel – the Presidents’ Quarters Inn. 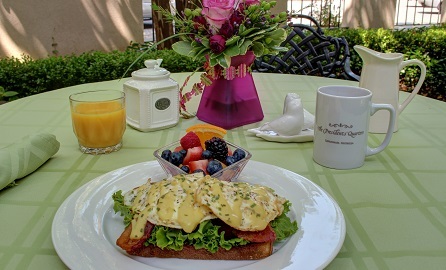 Located near the boat tour dock, Presidents’ Quarters Inn offers 16 perfectly appointed accommodations in the heart of the historic district.